Yvonne Strahovski @ the Premiere of 'Cowboys & Aliens'. Yvonne Strahovski @ the Premiere of 'Cowboys & Aliens'. HD Wallpaper and background images in the Yvonne Strahovski club tagged: yvonne strahovski actress premiere cowboys and aliens event hq high quality july 23 2011. 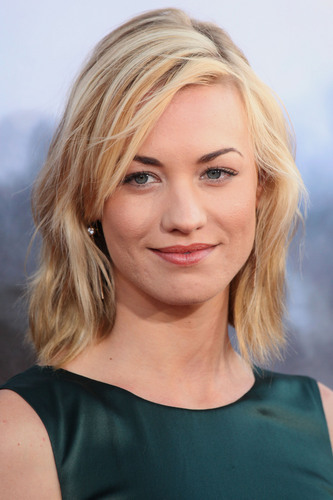 This Yvonne Strahovski photo contains portrait, headshot, and closeup.